The Best Cycle Paths In Cheshire! As we all know, winter is a time for cosy nights in, stuffing your face with chocolate and indulging in many Sunday roasts. So I know that the thought of going for a bike ride when it’s freezing outside is a little unappealing, however, a bike ride will actually warm you up a lot quicker than you would expect and it’s a great way to explore! We have rounded up our favourite Cheshire bike rides to get you inspired to cycle this Winter. Biddulph Valley Way– This circular route starts in the Cheshire town of Congleton and follows the Biddulph Valley Way (a traffic-free disused railway path) before turning round to return to Congleton. 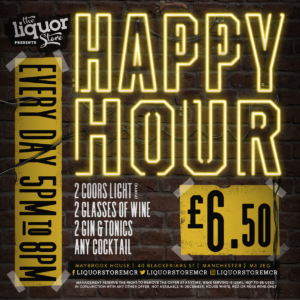 This is a great journey to take if you fancy a nice cake at the end or perhaps a beer with friends, as you will end up back in the town centre of Congleton, where there is an abundance of cafes and pubs for you to choose from! Buxton to Marple– If you fancy a more scenic route, then strap your lightweight Cannondale hybrid bike to your car and head up to Buxton in the Peak District. From there follow the national cycle routes 55 and 68 from Buxton to Marple. 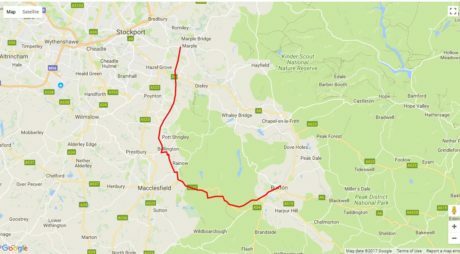 It is a pretty straight-forward cycle route in terms of navigation but boasts of amazing scenery in the Peak District and an off-road canal path in Macclesfield. Cheshire Cycleway– This is probably the most well-known cycle route in Cheshire and it attracts people from all over the country. Essentially, it is a huge 176-mile round-route that takes you past the best villages in Cheshire. There are so many lovely places to discover on this route and some great cafes and pubs to stop at along the way. What I love about this route is that you can make it as challenging as you would like, so it suits all ages and abilities. If you are up to the challenge you could take on the whole 176-mile route in a few days and stop at some of Cheshires wonderful B&B’s on your way. 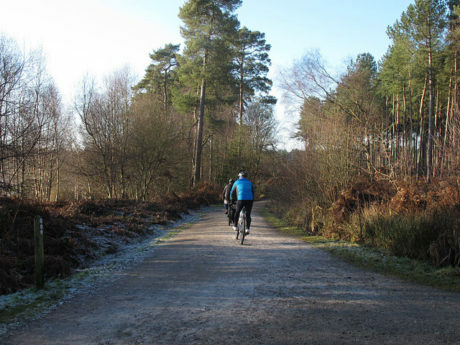 Delamere Forrest– There are two main cycle paths around Delamere Forrest, however, more advanced cyclists can navigate through the forest to find hidden paths and more challenging routes if they want to. The first route is called Old Pale, this path gives you amazing views of the Cheshire countryside and on a clear day, you can see miles of land. The second route is the waymarked cycle trials in Delemare which consist of the Hunger Hill Trail (Blue) this starts at Delamere forest centre and is a forest road so you are bound to get a bit muddy. It is the shorter of the two waymarked trials so perfect for those of you who have a spare half hour. The second trial is called Whitemoor, this also starts in the centre of the forest marked out by white waymarkers and is approximately an hour long. So whether you are a beginner or an expert there is a cycle path in Cheshire made for you! Just don’t let the cold weather hold you back.